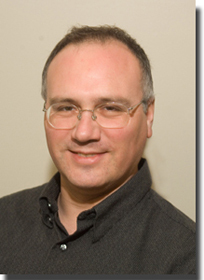 Dr. David Hochfelder, assistant professor of history at SUNY-Albany will be the keynote speaker at How Commerce and Industry Shaped the Mails, the sixth annual Postal History Symposium, which will be September 16-18, 2011 at the Match Factory in Bellefonte, Pennsylvania. After two degrees in electrical engineering from Northwestern University, David earned a Ph.D. in history at Case Western Reserve University. His research interests include the history of technology and business history; he is particularly interested in the relationship between technological innovation and social change. He was the assistant editor for two volumes of The Papers of Thomas A. Edison; David’s book The Telegraph in America: A History, 1832-1940 will be released by Johns Hopkins University Press in the spring. The American Philatelic Research Library, the American Philatelic Society, and the Smithsonian National Postal Museum jointly produce the Symposia, which have been held annually since 2006. The format of the 2011 symposium will be similar to that of the Post Office Reform symposium in 2009, with the paper presentations distributed across three days allowing ample time between sessions for viewing the 150 frames of invited stamp and postal history exhibits, purchasing stamps, covers, and ephemera from the philatelic dealers, reading in the APRL, and conversing with fellow attendees. Hochfelder’s keynote address will be given at the banquet on Friday night. On Saturday evening, the United States Stamp Society, a Symposium co-sponsor for 2011, will host a banquet celebrating their 85th anniversary. While the symposium will focus primarily on the United States, papers that examine or contrast the relationship between post office and business interests in other countries are welcome as well. The Call for Papers was distributed at the fifth symposium at the end of September; some proposals have already been received. The deadline for submitting proposals is May 1, 2011 and the selected papers will be announced shortly afterwards. A slight correction to this very flattering bio–my forthcoming book won’t be released this spring, but probably spring of 2011.